Have you ever thought about how often you hurt others unintentionally? I have been thinking about this for a few days. I don't really know how often I do it, but I know that I do it. And I know that I don't mean to. But my intentions don't make the hurt, hurt less =/ Sometimes my words just don't come out right. And sometimes, even my honesty hurts. Sometimes I have days that I am just cranky and snappy. That is no excuse to forget about the feelings of those around me. I don't wake up and decide that I want to hurt someones feelings. And knowing that I hurt someones feelings makes me feel like crap. BUT sometimes, it just happens. I don't always think before I speak. I don't always think about how my honesty will sit with someone else. I don't always ask myself if what I am about to say is hurtful or helpful. I don't sensor myself. I think we all have the best of intentions for the most part. And sometimes, my honesty can be a double edged sword. I want to do/say the right thing. But sometimes, the truth hurts. And never in a way that I intended it too. Words hurt. Even when you don't mean for them to. The worst part, is that once you say them, you can never take them back. We have all had at least one experience where someone said something hurtful, intentionally or unintentionally. And sometimes, those words stick around for a while. I'm challenging myself to put others feelings before my own. I'm challenging myself to show love through my words and actions on a daily basis. I challenge you to do the same. If I am being honest here, I am just going to say that I am not a happy camper today. I didn't sleep well last night. AT ALL. I have no idea why. I woke up late, my hair is a mess and I forgot my lunch. Happy Monday, right? Booo. That's what I say. Can I get a do over, please?! "A professor stood before his class and had some items in front of him. When the class began, wordlessly, he picked up a very large and empty mayonnaise jar and proceeded to fill it with golf balls. He then asked the students if the jar was full. They agreed that it was. The professor then picked up a box of pebbles and poured them into the jar. He shook the jar lightly. The pebbles rolled into the open areas between the golf balls. He then asked the students again if the jar was full. They agreed it was. The professor next picked up a box of sand and poured it into the jar. Of course, the sand filled up everything else. He asked once more if the jar was full. The students responded with a unanimous 'yes.' The professor then produced two cups of coffee from under the table and poured the entire contents into the jar, effectively filling the empty space between the sand. The students laughed. 'Now,' said the professor, as the laughter subsided, 'I want you to recognize that this jar represents your life. The golf balls are the important things - family, children, health, friends, and favorite passions – things that if everything else was lost and only they remained, your life would still be full. The pebbles are the other things that matter like your job, house, and car. The sand is everything else - the small stuff. If you put the sand into the jar first,' he continued, 'there is no room for the pebbles or the golf balls. The same goes for life. If you spend all your time and energy on the small stuff, you will never have room for the things that are important to you. So... pay attention to the things that are critical to your happiness. Play with your children. Take time to get medical checkups. Take your partner out to dinner. There will always be time to clean the house and fix the disposal. Take care of the golf balls first - the things that really matter. Set your priorities. The rest is just sand. 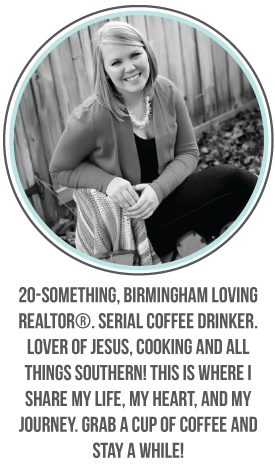 'One of the students raised her hand and inquired what the coffee represented. The professor smiled. 'I'm glad you asked. It just goes to show you that no matter how full your life may seem, there's always room for a couple of cups of coffee with a friend.'" 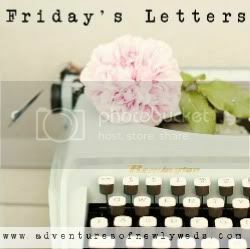 This is my first time linking up for Friday Letters. I love reading other peoples letters so I thought "Why not?" Dear Men, If you want to go out with me, you're going to have to do the work. I am not calling, texting, asking you out or chasing you down. You want something? You're going to have to work for it. Dear Best Friends, Thank you all so much for everything you do for me. You guys are my rock. I couldn't make it through this crazy life without you girls. Dear iPhone, I hate you and your home key that don't want to work. Boo. Dear Sunshine, Thank you for showing up the last few days. You have made this week beautiful! Dear Blog Followers, Thank you all so so so so much for being here! Welcome to all the new bloggers...Hopefully my rants and bits of wisdom here and there will be enough to keep you coming back! Dear Hair, Why do you insist on flipping out when I straighten you? Would you just rather me leave you in your natural state? I like you when you're curly but I love you when you're straight! Please, get it together. Dear Facebook, Would it be too much to ask for you to automatically delete peoples political posts? I don't thinks so. You should get on that. Dear Panera, Thank You for having the most amazing soup EVER. I think I would die without you. Dear Adam Levine, The new Maroon 5 CD is amazing. And I love you and your tattoos. We should get married. That is all. Dear Pinterest, please stop showing me wedding related pins. My wedding board has the most pins already, and I don't even have a boyfriend. 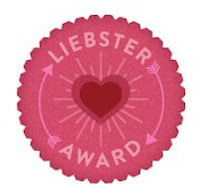 I was looking at my comments today and I saw where I have been nominated for a Liebster Award for newish/up and coming Bloggers who have less than 200 followers! Each person tagged must post 11 things about themselves. They must also answer the 11 questions the tagger has set for them. They must create 11 more questions to ask bloggers they have decided to tag. They must then choose 11 bloggers to tag with less than 200 followers. These lucky bloggers must be told. There are no tag backs. 1. I'm really funny. And I'm not just saying that because I think I'm funny. 2. I love animals. All of them. I would live on a farm and have tons of them if I could. 3. I was born in Chicago. 4. I have two best friends that are also named Jennifer. You can thank the 80's! 5. I have a serious coffee addiction. SERIOUS. Can.Not.Function.Without.It. 6. I am studying to get my Real Estate license. 7. I hate it when people don't know the difference between there, their and they're. And your and you're. 8. I love cheddar and sour cream potato chips! 9. I have two nieces that are 4 months apart that I absolutely adore!! 10. I have the greatest family a girl could ask for! 11. I am a Christian. God is the most important part of my life! 11 Questions From My Nominator Jo Lane @ Loving Life In The Fab Lane! 1. If you could go anywhere in the world to visit, where would it be? Germany. My great grandparents are from Germany. 2. Do you read? If so who is your favorite author? I love to read, but I don't have a favorite author. I will read just about anything. 3. What is your occupation? I am a pharmacy technician and I am studying to get my real estate license. 4. 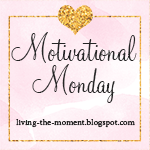 What inspired you to blog? I needed a place where I could really by myself with no judgement. A place to share my thoughts, my fears, my hopes and dreams. 5. Who is your fashion Icon? Honestly, I don't have one. I don't follow the trends. I just wear what I am comfortable in. 6. What is your favorite store to shop for clothes? I have a few favorites...Buckle for my jeans, TJMaxx, Maurices, Old Navy and Victorias Secret for everything else. But I will really shop just about anywhere. I just have the best luck at those places. 7. What is your favorite store to shop for cosmetics? I don't wear much makeup. Mostly Target. Unless my mother buys me makeup and then it's Mary Kay or Arbonne. I have a few things that I get at Sephora. 8. Where do you live? USA? UK? Other? I live in the good ole' deep south. Birmingham, Alabama! 9. Favorite tv show? Favorite tv show evveerrr is Friends. As for current tv shows it would be Greys Anatomy. 10. If you could only choose 1 cosmetic to use on your face, what would it be? Mascara. 11. 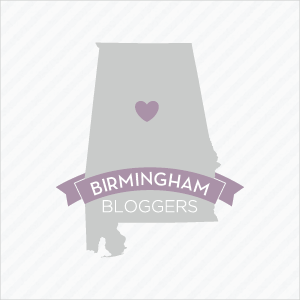 Have you ever met up with a fellow blogger? NO! I can't wait to, though!!! 1. If you could be anyone for a day (living or dead) who would you be and why? 2. If you could change your first name, what would change it to? 3. If you won a million dollars, what's the first thing you would purchase? 4. If today were the last day of your life, what would you do with it? 5. If your life was a novel, what would be the title and how would your story end? 6. What are 3 things you can't live without? 7. If you could choose to stay a certain age forever, what age would it be? 10. What chore do you absolutely hate doing? 11. What is your favorite quotes/bible verse?